We are sure that you will love Swing Macro just as much as we do because it is easy to use, takes less than 5 minutes a day and puts you into the best trend trades. 10 Lessons -- Instantly Available on Demand! Learn how to the Swing Macro strategy works in 10 simple and easy to understand videos. Instantly available. Watch them as many times as you want. The beauty of Swing Macro is that it only trades when trends are clear because it uses the bullet proof approach of combining technicals, fundamentals and money management. It uses multiple entries to supercharge your odds, leverages on news releases and pairs strong currencies against weak ones. Because Swing Macro only trades daily charts and ignores all the intra-day noise, all it takes is 5 minutes a day to set up. You won’t be glued to your computer or Smartphone. Just turn on your computer once a day, check to see if there is any setup and run our EA. Its that EASY! 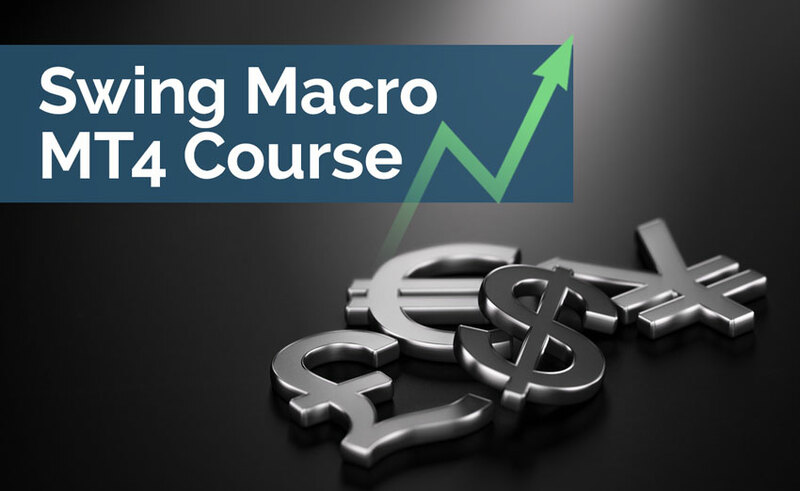 To make using Swing Macro even easier, we are including an MT4 coded version as part of the course. Don’t worry, we also included a detailed video on how to install the indicator and how to configure it for non-MT4 accounts!